Whenever anyone of these so called atheists challenge me to prove there is a God I humbly ask them to spend a day with me. We will spend it in Gods Cathedral ( nature ). This can be by a quiet little stream ,in the forest , in a meadow, by the shores of a lake or ocean. I ask them to close their eyes and take a deep breath. After a few of these they are asked to slowly open their eyes. Then Jehovah reveals Himself to them through the serenade of the wild birds, the singing of the waves as they caress the shore, the beautiful gentle dance of wildflowers in the meadow or the hypnotic soft sway of trees as they preform natures ballet just like the wild flowers do, or look at the clouds as they dance across the sky. They will drink in the intoxicating fragrance of the wildflowers or the musky scent from the forest. They feel the tender warmth of the sun as it wraps itself around them like a comforting warm blanket on a cold day. They feel the delicate breeze softly caress them. In the end they are at one with Jehovah being relaxed and at peace with themselves and the world. The closer you get to nature, the closer you get to Jehovah. 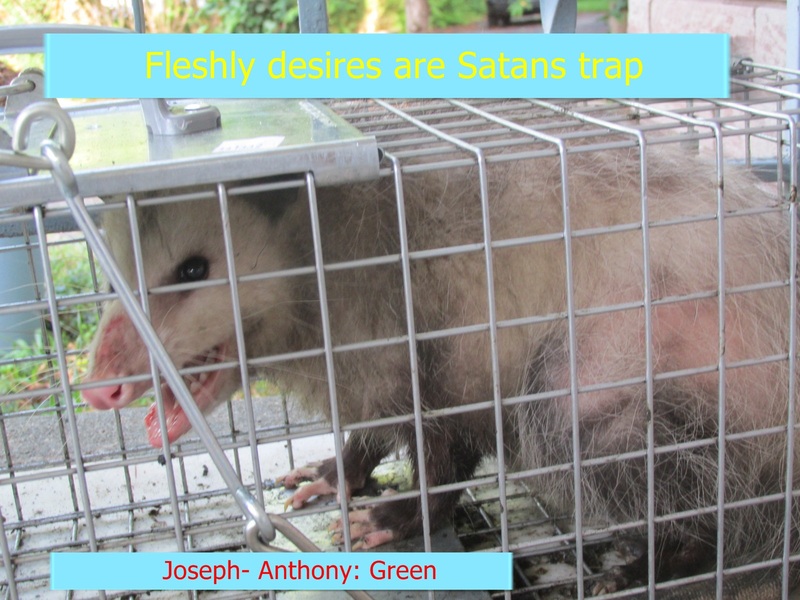 Joseph- Anthony; Green. The question then is asked if they have experienced Jehovah now. Most will look at me with an expression of awe and wonderment like little children. Later of course the majority will deny this and flippantly mock it saying it was just nature that created this experience not a fairy tale creation in the sky. Prayer: Thank you Jehovah Bara (The Lord Creator) for blessing me with opening my eyes to all the awesome wonders that You have lovingly created that exists all around me every moment of every day. Please bless me with the wisdom to reveal this to those who are walking blindly of Your majesty. I exalt Thee in the name of He who was there with You in the begging of this incredible creation Jesus Christ. Amen. 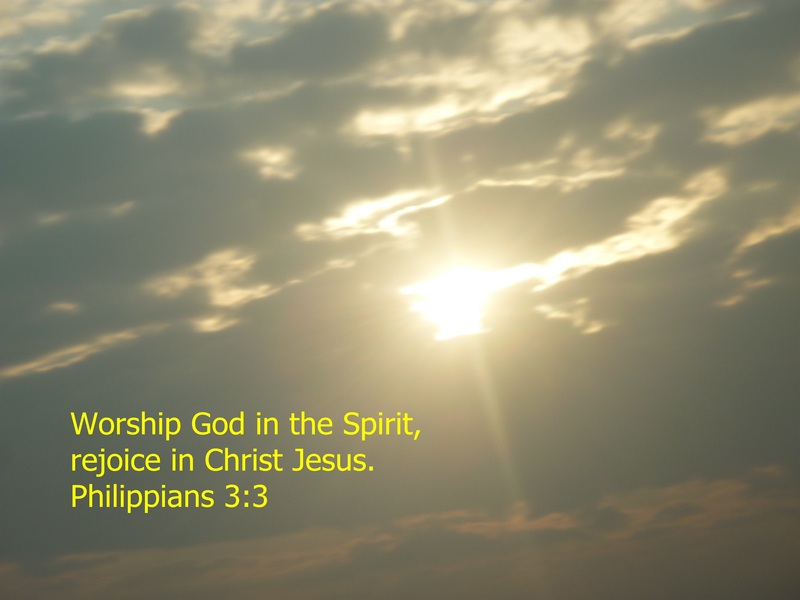 Categories: attraction, beauty, Christ’s love, Christian, Christian Bible, Christian photography, Christian quotes, Christianity, nature, prayer of love, prayer of worship | Tags: attraction, beauty, Christ’s love, Christian, Christian Bible, Christian photography, Christian quotes, Christianity, nature, prayer of love, prayer of worship | Permalink. When we accept Christ as our King He begins a process of burning off the dross in our lives that lasts until we reach our Heavenly home. Burning off the dross it the process where the Holy Spirit through life’s circumstances of trials and tribulations, sorrows and snares burns off the undesirable traits in your life to make you acceptable unto Jehovah. We all have numerous undesirable traits which we inherited from our fleshy parents. They must be burned off to make us acceptable to our Heavenly Father. To be sure they are neither fun nor enjoyable. So those who in this world are only interested in having fun and not interested in suffering need not apply. You will not last. Most times you are not even aware of the changes the Holy Spirit is weaving into the very core of your life but those around you will for sure see it. You are slowly becoming a new beautiful creation in Christ. You are a masterpiece in the making that is unique. During this process your Devine purpose will be revealed to you. It need not be something big and important like going overseas to be a missionary in the jungle. It may be doing volunteer work in a hospital, visiting seniors in seniors homes, helping in the soup kitchen or food bank or any other numerous Devine assignment. Do not believe yours is less important in Jehovahs eyes or that you are too young or old. You may have one calling or you may have many. Your calling can change over time. I have had four callings so far in my walk with Christ. The first one was preparing me for the second one. The second one was preparing me for the third and fourth one. Prayer: Thank you Jehovah-Jireh (God is our Provider) for blessing me with oh so many awesome opportunities to serve You in my walk with You and the amazing way in which You have molded this hard lumpy clay into a beautiful vessel of Yours. I exalt You in the name of the Master Potter Jesus Christ. Amen. Categories: beauty, Belonging, blessed, blessings, Christ’s love, Christian behaviour, Christian charity, Christian civility, Christian compassion, Christian conduct, Christian culture, Christian devotional, Christian duty, Christian generosity, Christian goodwill, Christian life, Christian love, Christian Meditation, Christian morals, Christian philanthropy, Christian photography, Christian quotes, Christianity, culture, discipleship, discipline, divine calling, divine plans, education, evangelize, faithfulness, Godliness, Gods will, gracious, habits, Holy Bible, hospitality, Jehovah, Jesus, kindness, Kindness, lifestyle, loving relationship, obedience, people, prayer of thanksgiving, prayer of worship, society | Tags: beauty, Belonging, Blessed, Blessings, Christ’s love, Christian behaviour, Christian charity, Christian civility, Christian compassion, Christian conduct, Christian culture, Christian devotional, Christian duty, Christian generosity, Christian goodwill, Christian life, Christian love, Christian Meditation, Christian morals, Christian philanthropy, Christian photography, Christian quotes, Christianity, culture, discipleship, discipline, divine calling, divine plans, education, evangelize, faithfulness, Godliness, Gods will, gracious, habits, Holy Bible, hospitality, Jehovah, Jesus, kindness, lifestyle, loving relationship, obedience, people, prayer of thanksgiving, prayer of worship, society | Permalink. Categories: Amaze, attitude, attraction, attributes, beauty, blessinngs, Christian, compassion, Creation, devotion, encouragement, experience, faith, faithfulness, gentleness, God, Gods grace, Gods will, gracious, grateful, happiness, joy, Kindness, knowledge, learning, life, loving relationship, Peace, personal experiance, pleasure, praise, privilege, relationships, spiritual blessings, spiritual nurishment, thankful | Tags: amazing love, beauty, blessing, Christian, Creation, Devotion, divine joy, encouragement, God, God’s grace, grateful heart, happiness, loving relationship, nature, peace | Permalink. Prevents It Flying to God. In most of the world today most people are slaves. They foolishly fall for the trap of materialistic pleasures such as a new house (which in my opinion is nothing more than a money pit). Then they are slaves to a mortage and constant upkeep costs. Indeed how many houses are overpriced because of rich immigrants coming in and buying everything up and we cannot afford a house anyway. They are shallow enough to purchase products that promise they will be physically beautiful while neglecting their spiritual beauty. If have met many that their physical appearances are ugly yet they are the most beautiful souls I have had the privilege to meet. They go out and buy products that run up their credit cards and clothing that is overpriced and they go in debt. Meanwhile those outfits they “Had to have” are sitting in their closets collecting dust. They are slaves to fashion. I think it is shameful when someone owns a house and they have to rent to storage place because they have too much stuff. They think buying a certain car will make them happy and cool. I always laugh and ask them if that means they are dorks when they are not in their cars. Prayer: Thank you Jehovah El Shaddai ( God who is sufficient for the needs of His people) for all the amazing blessings You abundantly shower upon this child of Yours every day. I exalt You in the name of He who always provides for His cherished sheep Jesus Christ. Amen. Categories: beauty, Bible verses, Christianity, conduct, consequences, covetousness, destructive habits, emotions, experience, finances, fools, greed, happiness, materialistic, money, motives, pleasure, pleasures, possession, possessions, prayer, pride, provision, quotes, ruinous dispositions, shame, slaves, society, sorrow, suffering, traps, treasure, Word of God | Tags: beauty, Bible verse, Blessings, emotions, fashion, finances, God, happiness, joy, life, materialistic, neglect, people, physical appearances, pleasure, possession, possessions, provision, slaves, society, sorrow, treasure | Permalink.